My husband’s mum was a vital part of our lives. There hasn’t been a day since she died that we don’t miss her terribly. As adults who’ve had years to develop coping skills, it’s still tough. So how can a child possibly deal with grief when they can’t begin to reconcile the devastation of loss and moreover, the finality of death? Our eleven year old son experienced anxiety resulting from the loss of his grandmother, so we sought help. Grief counseling has helped him begin to accept the death and has given him skills to cope with the fear of losing his parents and sister. Avery, our seven year old, seems to be the most profoundly affected. She and her ‘Grandie’ had a special bond (one that my husband and I are convinced has continued in some other worldly way. It sounds odd, but the evidence we’ve seen is impossible to ignore). At first Avery believed her Grandie had gone to the dentist and would be coming back soon. We don’t know where this idea came from. Regardless, the first dental appointment I took the kids to afterwards was difficult to say the least. 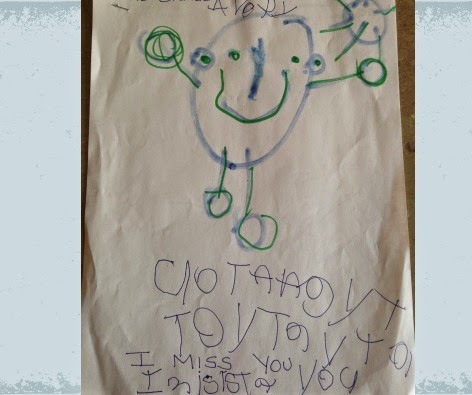 When it became evident that Avery was struggling to find the words to express her sorrow and confusion, we took her to see a counsellor through ErinOak Kids. This was best thing we could have done. Not only was our daughter able to communicate her feelings in a safe and comforting environment, I also came away with some helpful strategies. These are some of the things that have helped my children deal with grief and loss. They are invaluable tools to use with a child with developmental delays, but they would be equally effective for any young child. Great Answers to Difficult Questions about DEATH: What Children Need To Know by Linda Goldman is also EXCELLENT. It’s the resource Avery’s grief councellor uses. Please feel free to add your own suggestions to the comments. We’re writing our own story called “Wasn’t Grandie Grand?” My son is writing the words and Avery is helping with the illustrations. It’s a good way to be able to talk about the person we miss so much while preserving the special memories and day-to-day details that will inevitably begin to fade. 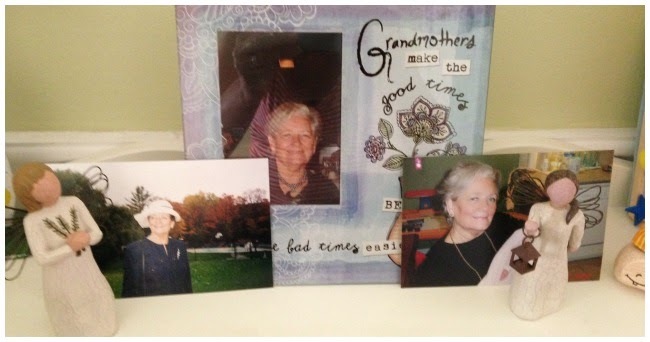 Though it’s a difficult and uncomfortable topic most parents would rather avoid, when kids ask, “Where did grandma go? and “Why did she die?” or “What is dead?” As sad as it is for us, let them talk. Answering their questions in a truthful but age appropriate way helps them heal. Use proper language. She didn’t pass away (this concept doesn’t make sense to kids) and she isn’t in a deep sleep. She died. She is dead. Use the words. We told Avery that Grandie died and that she is in heaven. Though I don’t personally believe in the concept, we felt that having a concrete “place” to imagine would be helpful for our daughter. It’s hard to say those words, but children are smart and they know when they are being lied to. They need to understand and accept that death means forever. Otherwise how can they grieve? Your child may not have the words or may prefer to express themselves with pictures. Avery drew many pictures of her Grandie (always smiling). She often wrote a few words with the pictures too. Go through old albums or iPhotos and let your child select a few special photos. Put them in frames around the house and in a special spot in their bedroom. The photos are often a good place to start conversations about our lost loved ones. Avery and I bought a pretty box and filled it with little things that remind us of Grandie. We went to my in-law’s house and Granddad helped us choose a few things to put in the box—Grandie’s tea cup, a scarf, a bracelet, a broach, the necklace Avery loved to fondle while her Grandie wore it. 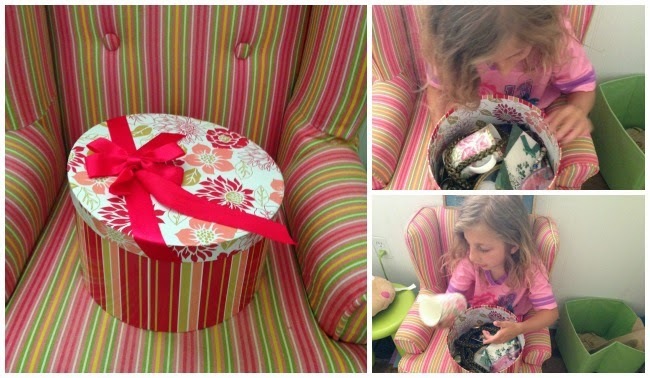 Whenever Avery is feeling sad and missing her grandma, she looks through her special Memory Box and finds comfort. Avery’s counsellor told us about a candle ceremony that takes place a few times a year in our community. Families have a chance to light candles or paper lanterns in honour of lost loved ones. We love this idea and hope to participate at some point. 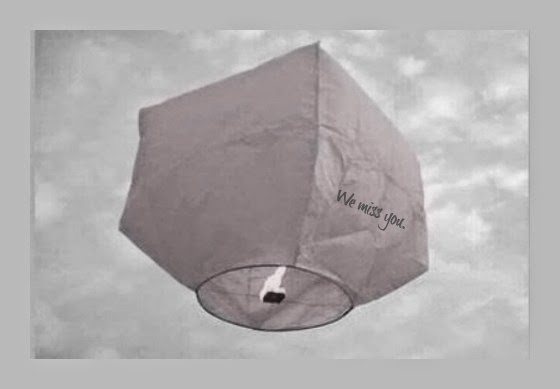 In the meantime, we bought paper lanterns for each of the grandkids to send up to Grandie this summer when we’re all together at the cottage. If you like, you can write a simple message on the side of the lantern. I find it difficult to watch this video without getting emotional. However, we want to share it with you in hopes it will help families who are struggling. If your children are having trouble coping with the loss of a special person, you might consider doing this. It gave Avery, all of us in fact, some much needed closure and an emotional release. Avery wrote her Grandie a note with her counsellor (we respected her privacy and didn’t read it, though I really wanted to). We took her message to the party store and Avery chose a pink balloon. “My Grandie likes pink,” she told the clerk as she inserted the note into the balloon and inflated it with helium. We went to a special spot where we feel close to Grandie. After a few words from Avery (which still break my heart) we released the balloon carrying the goodbye message of a seven years old girl up to her Grandie, on what would have been her 77th birthday. Imagine If We All Approched Life Like Tim? This is so smart and beautiful. Thank you do much for sharing.